During the hustle and bustle of this fall season, our home in the Lakeview area is noticing some great additions! We will love having the new neighbors and are excited for the finished projects that are going up quickly. At the busy 3-way intersection of Lincoln/Paulina and Roscoe, two large construction projects are underway. Across the street from us, there will be a new gym, burger hot spot, and several retail stores. 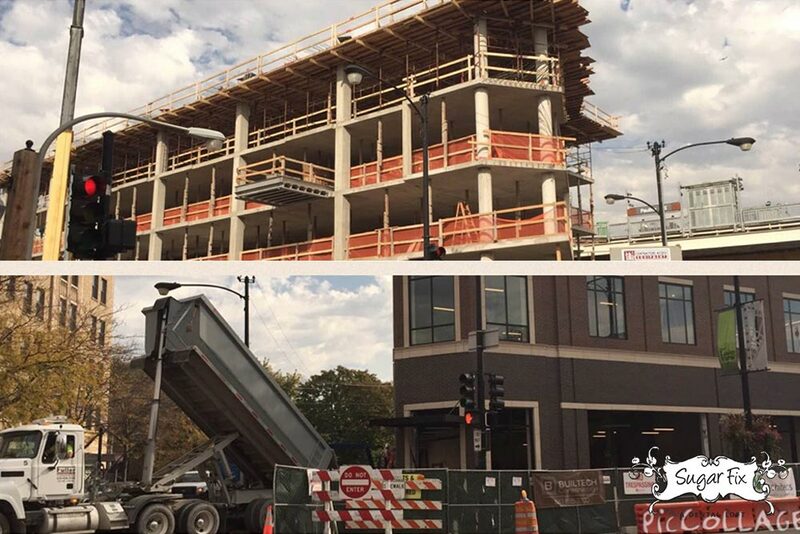 Roscoe Village and Lakeview residents must be excited for the upcoming openings because we are! Right next to the Paulina CTA Stop, a transit-oriented development is on the rise. Construction workers are at full force to get the five story building up and ready to go for renters to enjoy the effortless train commute into the city. The main floor will also be businesses and retail making this a very happening “mini-city”. We will love seeing more friendly faces out and about in this great community. These additions are perfect for this area, and we will welcome our new neighbors with open arms. It now seems like there is no reason to leave the area! Everything you need including your Sugar Fix team is all in one place.